We've already seen UK sales of the PlayStation 3 jump as soon as the new hardware hit the shops, so it's no surprise to hear that sales are booming in Sony's home territory of Japan too. 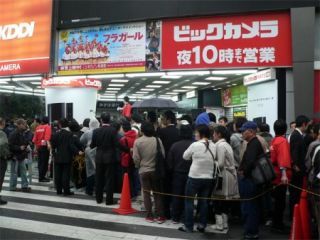 The slimmed-down PS3 sold 151,783 units in Japan during its first three days on sale – that's up from around 1,000 per week across the country just before the revamped boxes rolled out. Given that the old model PS3 had been bumping along at under 10,000 sales a week before the new gear was announced, Sony must be mightily pleased with the latest numbers. By way of comparison, the Wii from Nintendo was the second-best-selling console on 21,000, with the Xbox 360 far behind on just 7,000 sales for the full week to 6 September.